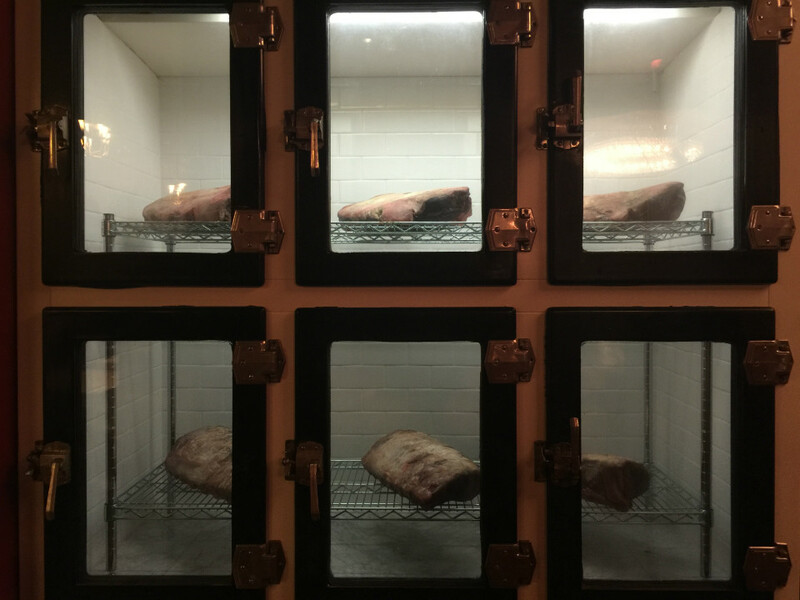 Alfred’s Steakhouse exclusively uses dry-aged (4 to 6 weeks) primal cuts of beef from specially cattle. All of our steaks come from beef that has been raised on grass and finished on grass & corn, except the tenderloin (Filet Mignon) which is completely grass-fed. Alfred’s steaks come from cattle that are naturally raised and specially selected for Alfred’s Steakhouse. All of our steaks are hand cut, lightly salted and grilled over Mexican Mesquite charcoal and oven finished. In 1911, Alfredo Bacchini left Italy for New York with a $20 gold piece and a train ticket to San Francisco. After years of scrimping and saving, he opened Alfred’s on Vallejo Street near the site that would become the Broadway Tunnel in 1928. He moved the restaurant to 886 Broadway just one year later. In 1958, he remodeled the space adding the three chandeliers that grace our ceiling now. The chandeliers are replicas of those hanging in the Vienna Opera House. Arturo Petri opened the Owl ‘n’ Turtle around the corner from the Blue Fox with his brother in law, Bill Varni. Arturo and Alfred had known each other through the restaurant industry and the Olympic Club and in 1973, a deal was struck for the Petri family to buy Alfred’s. Art and his son, Al, made many changes over the years but always maintained the principles and traditions that had made Alfred’s a success. The biggest change came in 1997 when Alfred’s moved to its current location that was the former home of the famous Blue Fox Restaurant at 659 Merchant Street. In 2016, the Alta Group purchased Alfred’s and brought a fresh perspective and new menu. And, now, after some good debates and long discussions, Daniel Patterson and Al Petri have decided to join forces to re-open Alfred’s. The new Alfred’s Steakhouse will honor the traditions of the luxurious ambience, superb service and excellent food with a new menu that will delight the people and visitors of San Francisco that we love to serve. We welcome many more generations of San Franciscans and travelers experiencing our incredible city!